Broadway Builders LLC is a full-service general contractor and construction manager specializing in ground-up multifamily construction, affordable preservation renovation, and retail fit-out. Founded in 2010 as an affiliate of residential developer The Hudson Companies, Inc., Broadway Builders is licensed, insured and bonded in New York City. Broadway Builders is a WBE enterprise, pending New York State certification. Broadway Builders is committed to delivering high-quality, cost-effective, and safe projects on schedule by employing and supporting a highly motivated, diverse, flexible and focused team of professionals. We value our relationships with our employees, clients, trade and vendor partners, and agency and institutional partners. Our goal is to ensure the stability and longevity of our company through repeat and referral business achieved by customer satisfaction in all areas including timeliness, attention to detail, service-minded attitudes and a commitment to excellence. Our clients count on our dependability, our drive, and our integrity. We take pride in our people and our accomplishments and build on them every day. 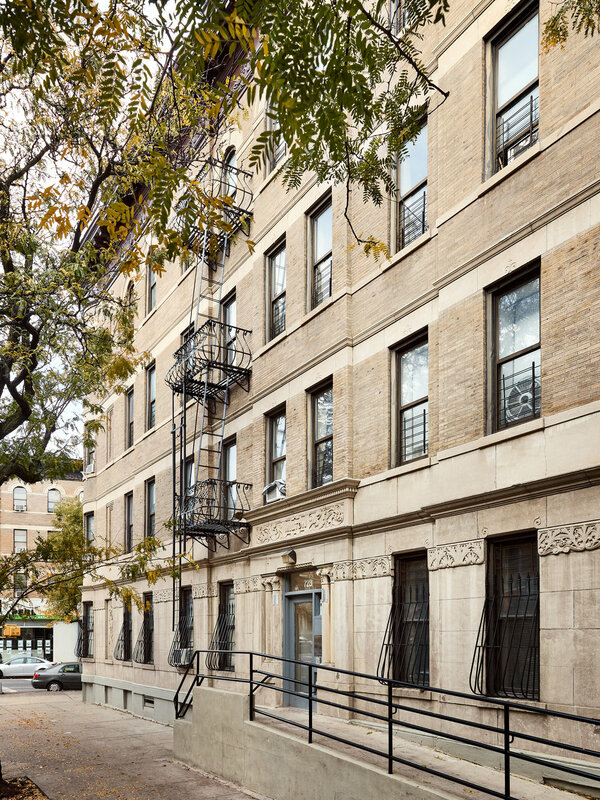 The BEC Project is Broadway Builders' most recent Affordable Housing Preservation project. The first phase of the project, BEC I, includes six buildings and 78 residential rental units, all of which have been rehabilitated and preserved as affordable housing. 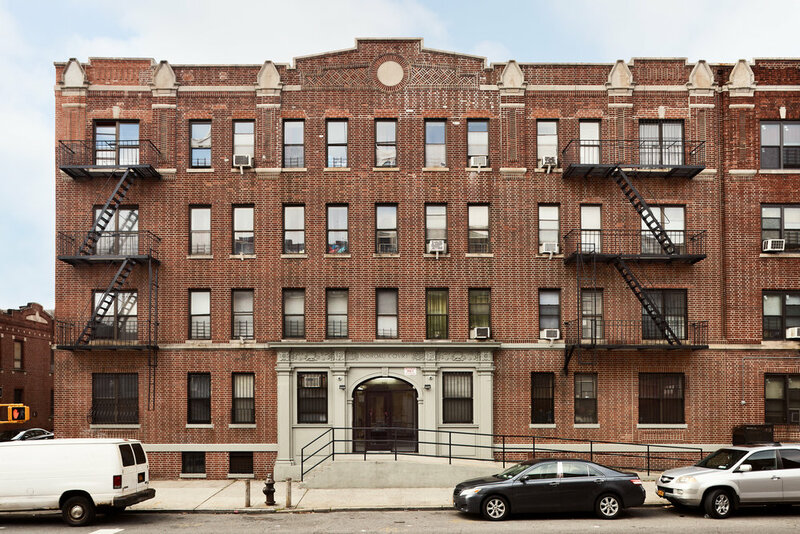 The six buildings in the first phase are located in the Bed-Stuy and Crown Heights neighborhoods of Brooklyn. Work scope on this phase included new windows, masonry re-pointing and preservation, new roofing, and renovated interiors. 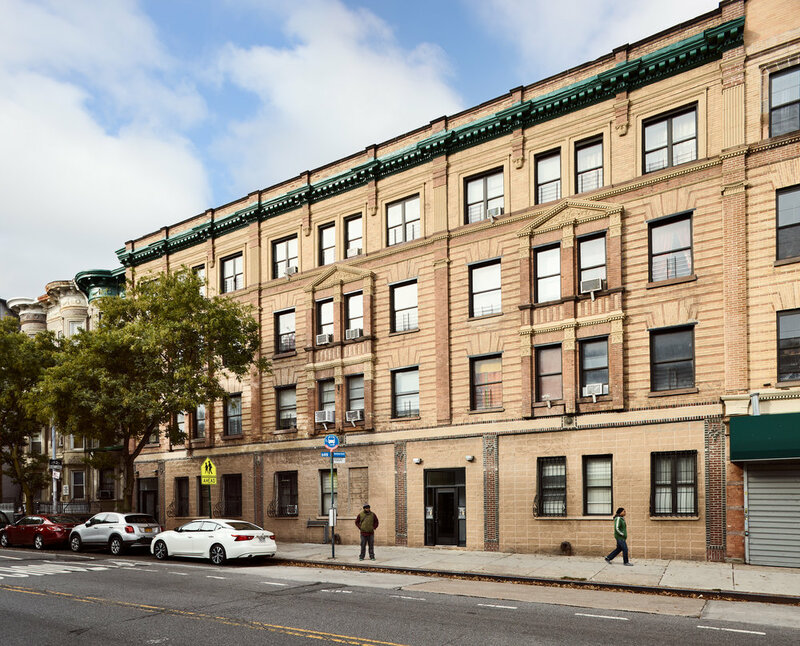 BEC Phase II is made up of 24 buildings in various locations of Bed-Stuy, Crown Heights and other neighborhoods in Brooklyn. The 24 buildings in phase II include a total of 124 Affordable Residential units. The exterior scope of Phase II is similar to the work of Phase I, with replacement of windows, roof, and re-pointing of masonry. The interior scope is more enhanced and includes full renovation kitchens and bathrooms, as well as upgrades to mechanical systems. Phase II is scheduled for completion in early 2019. The three – phase Gateway project in Brooklyn includes nine mid-rise buildings, all new construction. The project includes a combined total of 659 affordable apartments and 71,000 square feet of retail, community and public spaces. Phase I, designed by Danois Architects, contains 197 apartments in four buildings and 217,000 square feet. The project attained LEED Gold certification and features a 214,000-watt solar photovoltaic system. Phase II, designed by MHG architects, contains 175 residential units in three buildings and 202,000 square feet, including 24,000 square feet of retail space. This project met Enterprise Green Community standards and included a 495,000-watt solar photovoltaic system. 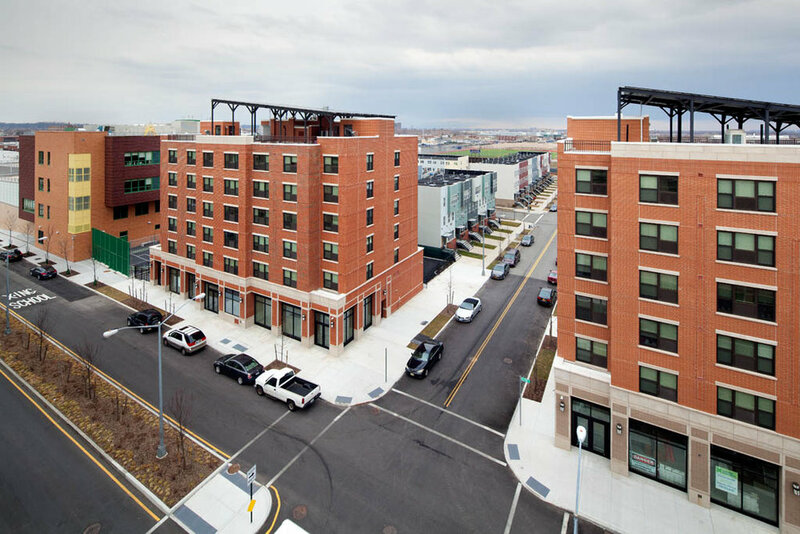 Phase III, designed by Dattner Architects, contains 287 residential units in two buildings and 355,000 square feet, including 30,000 square feet of community and retail space. This phase also met LEED Gold standards with a 314,000-watt solar photovoltaic system. The three phases were constructed by joint ventures between Cheever Development, Bruno Frustaci Contracting, and Hudson Affordable Builders, Broadway Builders' precursor entity. La Central includes five mid-rise and high-rise buildings, all new construction, in The Hub section of the South Bronx. The first two buildings, Buildings A & B, are currently under construction. Designed by MHG Architects and FXCollaborative, Buildings A & B include 496 units of affordable housing, 16,000 square feet of neighborhood retail, 18,000 square feet of community space including facilities for GrowNYC and BronxNet, and a 50,000 square foot state-of-the-art YMCA, complete with two pools, a gymnasium, youth and multi-purpose program areas and a wellness center. Broadway Builders, in a joint venture with Mountco Construction, is the construction manager for Buildings A & B.
Bernard ("Bernie") Ruf joined Broadway Builders as President in 2018. Bernie has more than 35 years of experience in the New York multifamily construction industry, most recently as Principal of Hudson River Construction Management, and previously as Director of Operations for Lettire Construction, where Bernie was instrumental in providing a platform for Lettire's growth into one of New York City's most active general contractors and construction managers.